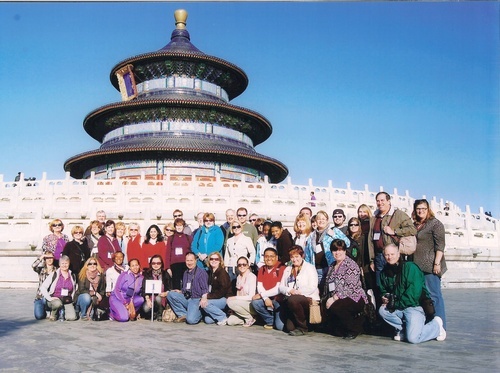 Join us at our information session to learn more about the upcoming China Adventure trip departing October 15, 2019 . This year our adventure includes the cities of Beijing, Hangzhou and Sozhou and Shanghai. It is FREE to attend the Information Session to learn more about this exciting opportunity simply click-on the Register button above. ALL are welcome to travel with the Chamber. Our itinerary is rich with memorable sites and cultural experiences including the Great Wall, one of the seven wonders of the world; the Forbidden City, Tian An Men Square, Lingering Garden, the beautiful city of Shanghai and more! As one of our past passengers said, "it was phenomenal. I saw and experienced sites, foods and historical places I never dreamed to put on my bucket list." Cost is $2,249.00 per person based on double occupancy (shared room). Contact Barbara Weiss at weissb@ncccc.com for registration information.